Leon Kappelman, Ph.D. is a research scientist, teacher, author, speaker, and consultant dedicated to helping organizations better manage their information, systems, and technology assets. He is Director Emeritus of the Information Systems Research Center and a Professor of Information Systems in the Information Technology & Decision Sciences Department of the College of Business at the University of North Texas, where he is also a Fellow of the Texas Center for Digital Knowledge. Dr. Kappelman is founding chair of the Society for Information Management’s (SIM) Enterprise Architecture Working Group. He has assisted many public and private organizations with technology management activities including strategic planning, governance, software development, project management, enterprise architecture, continuity of operations, and IT workforce management. He has given presentations and written articles on these and other IT management topics, and testified before the US Congress on technology legislation and IT management practices. He has lectured and conducted seminars and workshops on many management, business, and technology topics in North America, Europe, and Asia. 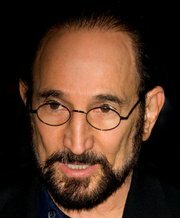 His work has been reported in the Wall Street Journal, New York Times, Business Week, Newsweek, Dallas Morning News, Washington Post, Vanity Fair, L.A. Times, and scores of other newspapers and magazines; he has appeared on CNN, CNBC, PBS, ABC World News Tonight, as well as numerous local and regional television and radio stations. He brought nearly $2.5 million in research contracts to the university. Dr. Kappelman’s professional expertise centers on the management of information and technology and includes enterprise architecture, software project management, software development and maintenance, continuity of operations and emergency management, management of change, performance measurement including metrics development, IT-related legal and ethical issues including intellectual property matters, and high-tech and public policy concerns like privacy, security, and software quality. He has worked with organizations involved in banking, insurance, aerospace, defense, health care, education, telecommunications, retail, all levels of government, not-for-profits, sales, marketing, distribution, electric utility, petrochemicals, as well as other economic sectors. Some of the enterprises he has worked with include ACS; Alcatel; Ameritech; Candle Corporation; LDS Church; CIA; CIGNA; City of Denton Texas; City of Los Angeles; Coca-Cola Company; Computer Associates; Department of Veteran Affairs; EDS; Executive Office of the President of the United States; Experian; GTE; HoneyBaked Ham; Honor Technologies; IBM; JCPenney; Kraft Foods; LL Bean; McDermott; Milliken & Company; Pacific Bell; Pacific Medical Clinics; President’s Council on the Year 2000 Conversion; Prudential; SAIC; State of Oklahoma; State of Texas; Texaco; Texas Health Resources, Treasury Department of Canada; United Nations; Wells Fargo; World Bank; and others. Professor Kappelman’s pro bono work includes testifying on high-tech issues several times before the US Congress, speaking at a United Nations IT conference, participating in White House industry round tables, serving on the American Heart Association’s IT Expert Panel, editing five books, founding and leading the SIM Enterprise Architecture Working Group and the SIM Year 2000 Working Group, and founding and serving as a member of the three-person steering committee of the UN and World Bank sponsored Y2K Expert Service Volunteer Corps. Professor Kappelman has published several books, over 100 articles, and his works have appeared in the Communications of the ACM, MIS Quarterly, Journal of Management Information Systems, Decision Sciences, IEEE Software, Project Management Journal, InformationWeek, Computerworld, National Productivity Review, Industrial Management, and the Journal of Computer Information Systems. He edited the SIM Guide to Enterprise Architecture (CRC Press, 2010), authored Information Systems for Managers (McGraw-Hill, 1993); co-edited Y2K Endgame Strategies: Risk Management, Testing, and Contingency Planning (SIM International, 1999); and edited Year 2000 Update: Key Issues and Research Reports (SIM International, 1998), Year 2000 Problem: Strategies and Solutions from the Fortune 100 (International Thomson Press, 1997), and Solving the Year 2000 Computer Date Problem: A Guide and Resource Directory (SIM International, 1996). Additional information about Professor Kappelman and his work can be found on his website at http://courses.unt.edu/kappelman/ and he can be reached at or by telephone at 940.565.4698.